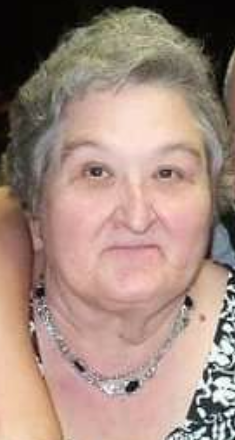 Obituary for Sylvia (Tigner) Young | Wellman Funeral Homes, Inc.
Sylvia Young, 76, of Circleville passed away on March 24, 2019. She was born on January 15, 1943 in Pickaway County to Pearl and Mildred (Tigner) Speakman. In addition to her parents she was preceded in death by her husband Robert Young, daughter Joyce Davis, son Charles Davis, grandson Thurman Dillard Posey II, great grandson Cody Smith and dog Whitey. Sylvia is survived by her children Jackie (Brian) Coleman, Ilene (Reno) Arledge, Gerald Young, Dora (Bobby) Conkel, Gene Davis, Buddy Young, Carol (Elmer) Hill, Sandra Young, Carol Ann Myer and Dena Mareno, 17 grandchildren, several great and great great grandchildren, siblings Pearl Speakman and Patty Monroe and by beloved dog ToeJoe. Funeral services will be held on Thursday, March 28, 2019 at 2:30 p.m. at the Wellman Funeral Home with burial to follow in Forest Cemetery. Friends may call at the funeral home on Wednesday from 2-8 p.m. The family would like to give special thanks to Tiffany, Kevelyn and Randi Jo from Accent Home Health for taking such great care of our mother and loved one. Memorial contributions are suggested to St. Jude Hospital. Online condolences can be made to www.wellmanfuneralhomes.com.